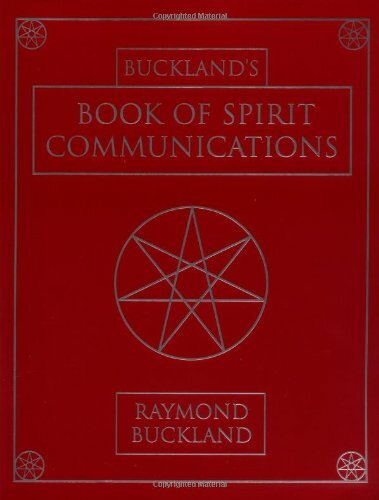 Buckland’s Book of Spirit Communications is for anyone who wishes to communicate with spirits, as well as for the less adventurous who simply want to satisfy their curiosity about the subject. Explore the nature of the physical body and learn how to prepare yourself to become a medium. Experience for yourself the trance state, clairvoyance, psychometry, table tipping, levitation, talking boards, automatic writing, spiritual photography, spiritual healing, distant healing, channeling, and development circles. Also learn how to avoid spiritual fraud. This revised and expanded edition of Buckland’s popular Doors to Other Worlds has over one hundred new pages, including a completely new chapter on electronic spirit contact. It features additional photographs and illustrations, an index, a new preface, and a workbook format with study questions and answers for each chapter.